We have a range of facilities and services available to you during your stay so if there is anything specific you require, please speak to our Guest services Team for availability. Please note: Unfortunately, our Swimming Pool is no longer available for use and we apologise for the inconvenience. Check out our activities page for a full list of the exciting, stimulating and challenging sessions available to you. If you are looking to use Avon Tyrrell as a base to explore the New Forest, check out our recommendations of local things to see and enjoy. 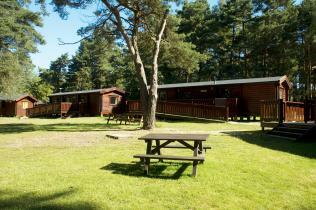 If you're looking for a last minute get away to the New Forest, check out our amazing deals on our lodges at Avon Tyrrell and come and enjoy a short break with us packed full of exciting activities.